Obituary for Esther P. (Hartman) Reott-Russell | McEntire-Weaver Funeral Home Inc.
Esther P. Reott-Russell, 94, of Knox, went to be with the Lord and her first love on April 14, 2018. She passed away at home surrounded by her family. Born August 5, 1923, in Shippenville, she was the daughter of the late Earl and Ethel Hartman. Esther graduated from Shippenville High School on June 4, 1941, where she was predicted in her yearbook to be a private secretary in a greased lightning corporation. Throughout her life she was employed as a secretary for U.S. Corregated Fiber Box Co., Knox Glass, KGC Federal Credit Union, Knoxcon Inc. and the Knox Borough. She retired from the Knox Borough in 1986 to take care of her mother. 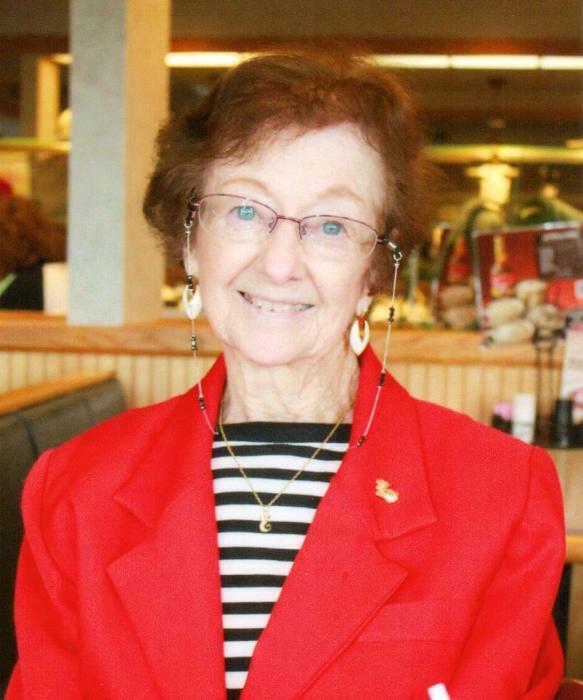 Her hobbies included playing bingo, quilting, crafting, cooking and just being with her family. Everyone she knew adored her and she will be remembered by many as the sweetest person they have ever met. On December 4, 1941, Esther married her high school sweet heart Charles E. Reott who preceded her in death in 1998. She then married George L. Russell on May 10, 2005, and he survives. Left to treasure the time they had and to cherish her memory include her loving husband whom she adored, George Russell of Knox; her son Charles K. Reott of Knox; grandchildren Benjamin (Mary Jo) Reott of Fielding, UT, Daniel (Baylee) Reott of Tremonton, UT, Isaac Reott of Thatcher, UT, Rachel (R.T.) Rex, Toni Forsythe and Jason Buckholz all of Knox; her great-grandchildren Zoey Reott, Elijah Reott, Dominic Reott, Charles M. Reott, Tannon Butcher, Braylen Reott, Leland Reott, Saricity Reott, Jimi Reott, Paige Rex, Lily Rex, Bentley Rex, Justin Forsythe and Jayden Forsythe. Also surviving are a sister in law Betty Hartman of Stoneboro and numerous nieces and nephews who were very important to her. Esther was preceded in death by her parents; her first love Charles Reott; three brothers Donald Hartman, Albert Hartman and Leason Hartman and one sister Cleora McClelland. The family will receive friends from 11 am to 1 pm Tuesday, April 17 at the McEntire-Weaver Funeral Home Inc., 504 East Penn St., Knox. Funeral Services will be held at 1 pm Tuesday in the funeral home with Pastor Doug Brink of the Mt. Joy United Methodist Church officiating. Interment will follow at the Sunset Memorial Park in Cranberry. Esther’s family would like to give a special thanks to the caregivers who helped take care of Esther. Donations in Esther’s honor may be made to the Clarion Area Agency on Aging, 16 Venture Lane, Clarion PA, 16214.